Lately, I have been crazy obsessed with RICE. More specifically, those rice grains used for paella , fried rice and those specialty dishes commonly used in Mexican or Indian cuisine. However, finding some good quality of grains with a friendly price tag was a challenge. 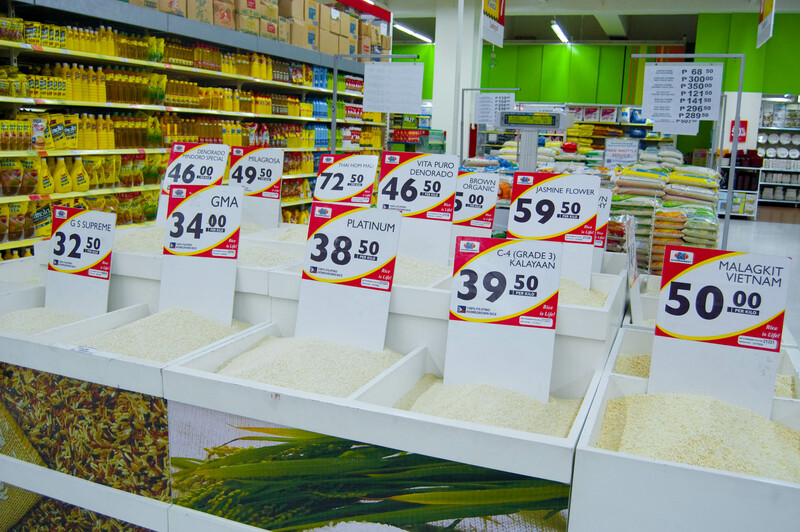 I’ve already scoured the shelves of Santi’s, Dinelli’s and other gourmet stores for some great finds of grains but only to find their prices too unreasonably exorbitant! 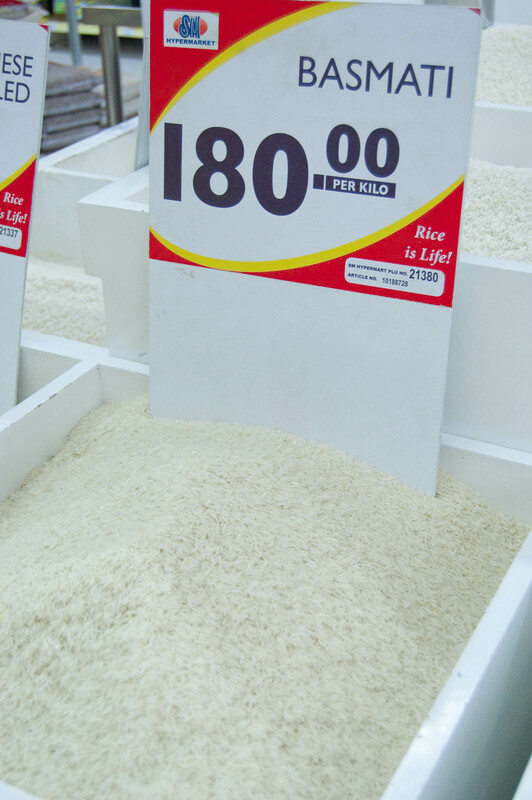 A box of about half a kilo of risotto reis costs about P280, arboryo rice about P800 plus at Terry’s Selection at the Podium. 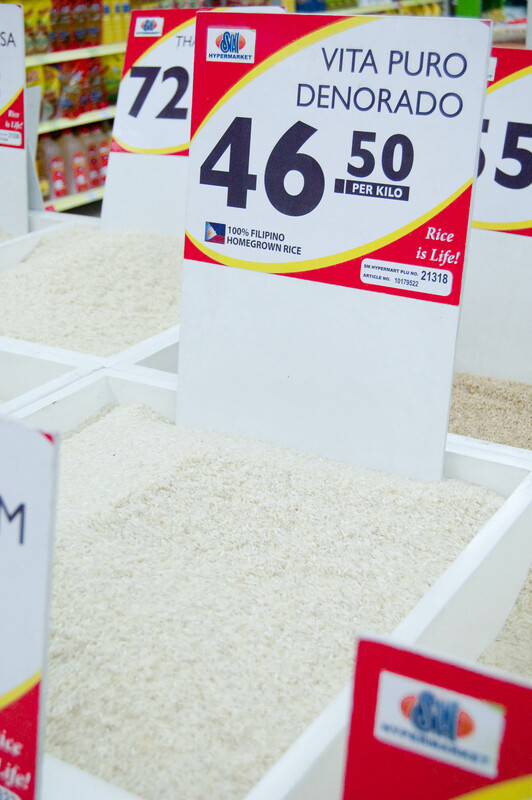 Being such a grocery rat, I thought I’ve already explored all the big groceries in Metro Manila for some grain finds. Arg, I always ended up empty handed in my quest for those rice grains. I was floored. My, it was a universe of some hard-to-find rice grains!!!!! 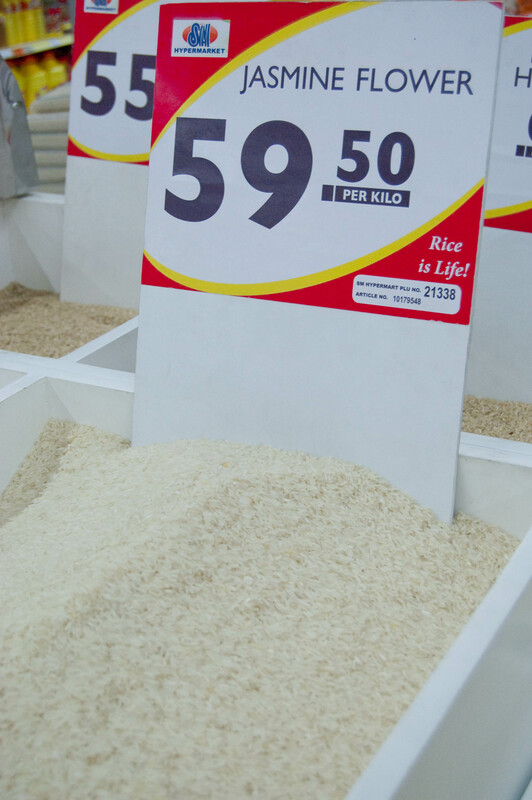 The SM Hypermarket’s rice grain selection was crazy fantastic. It was like all the rice agricultural lands of Asia have converged here! Haha! I could almost smell my basil chicken in coconut milk on top my warm plate of basmati rice! Or my baked hoisin ribs on a bed of my vita puro denorado rice.. The very aromatic rice jasmine flower got me imagining my steamed chicken with black mushrooms. I love these grains for it’s very aromatic and tender properties. Or the malagkit rice for my usual arroz caldo or rice cakes.. The quality, affordability just had me smiling for the next thirty minutes. Finally, I found the rice treasure island! I did not find this selection elsewhere and I was too happy to hoard these grains! Haha! My greatest grain find was the Japanese sasanishiku. It’s the next best thing when you want to do say, some paella, on a budget without sacrificing quality and taste. Oh how I wish there was a store here that carried that many varieties of rice. I’d be one happy camper! Most rice dealers here only carry the local varieties plus maybe organic red rice and pilit (malagkit). 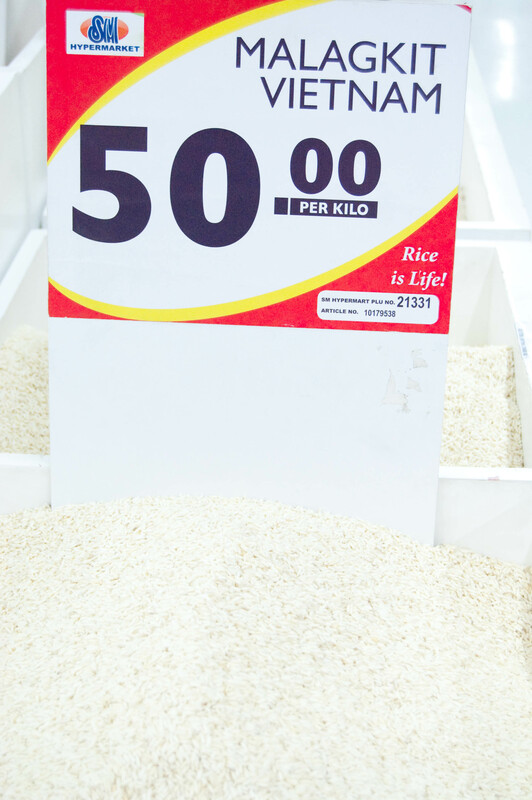 The more popular grocery here does have some Japanese small grain variety but the price is too steep for my budget. For everyday cooking, I go for the brands Land of Promise or Apache. I was able to try a brand called Crystal which is sourced in Ormoc…it was so fluffy when cooked. I also use malagkit or pilit for arroz caldo, champorado and other rice-based kakanins I do. Hi, Cathee! Thanks for swinging by. If only I could send you some special grains from Manila! have you tried making paella? If so, what rice grain did you use? You’re welcome!!! I’d probably do some rice grain hoarding the next time I’m in Manila to bring back home. I haven’t tried paella yet…I’m kinda intimidated by it…don’t want to make a mistake in making it since I know the ingredients are kinda pricey. Plus the fact that I don’t think I can source all the needed ingredients here…do you know that canned chorizo de bilbao is difficult to find here? But if I were to make some, I’d probably go with Dinorado or Jasmine. Yum!!! 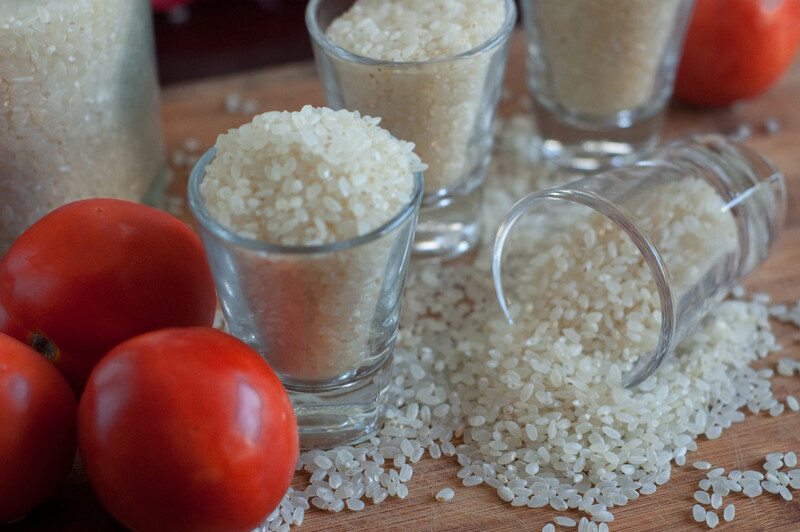 Rice is really so versatile. I wonder how many varieties there are! I use the native malagkit variety for paella. I also use it for arroz caldo. My kids enjoy minestrone soup with barley, which has a consistency similar to malagkit. i wonder if it can be a substitute for malagkit? After reading your blog I just had to check on my stack in the pantry. Yes, rice… turns out we have quite a bit. Arborio, Paella, Japanese, some long grain wild rice (black not red), california rice, the ever reliable basmati…Jasmine rice here in NZ we find a bit inconsistent so we opt for basmati about 98% of the time. Back to my pantry, i found one that i haven’t gotten around to using just yet… Carnaroli rice from Delmaine and the box says its from the Lombardi region and that it’s the king of risottos…. any ideas Caren? Good on you for finding your treasure trove of rice!